Due to over-whelming demand, the White Rabbit Gallery has decided to extend by one week the run of their record-breaking exhibition, The Sleeper Awakes. The exhibition will now close at 5pm on Sunday 5 August. 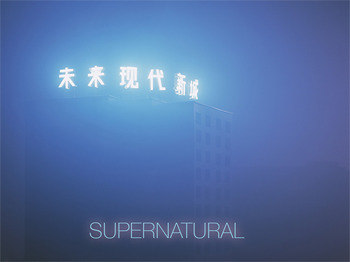 Supernatural, the Gallery's next exhibition, will run from Friday 7 September 2018 until Sunday 3 February 2019. The exhibition includes works by 32 artists, including Zhu Jinshi, Qiu Anxiong, Chen Wei, Emily Shih-Chi Yang and Ju Anqi.